Here is a Responsive Flat UI Kit PSD that you can use for your projects or just for inspiration. 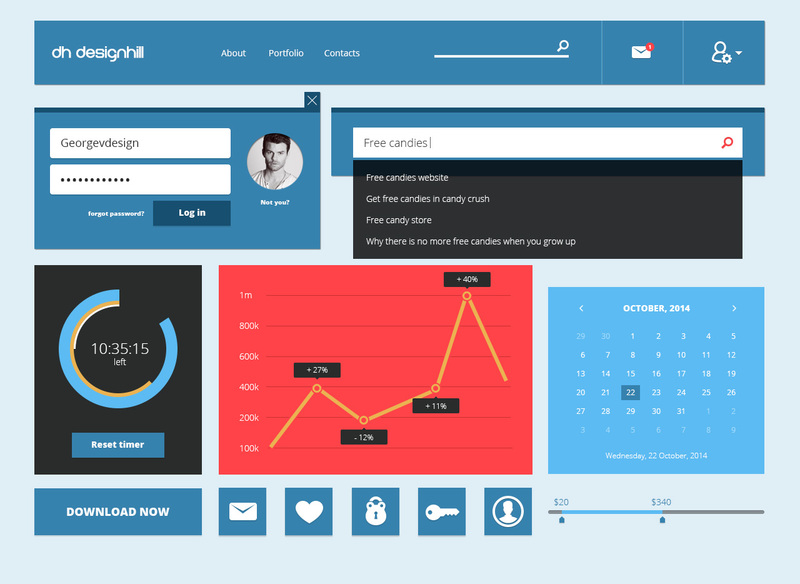 Free PSD created by Designhill. Looking for Customized, On time, UI kit? Launch a Logo Design Contest today. Choose from 100+ designs. Take your pick! Previous Previous post: How to Get Your Perfectly Designed Logo ?